Membership in the RFA allows you to meet and get to know refrigerated food manufacturers from around the U.S. and Canada. There is no better way to increase your sales than by increasing your network of potential customers, and becoming better acquiainted with your current customer base! RFA Annual Conference & Exhibition - The RFA's Annual Conference is the best event for meeting and networking with refrigerated food manufacturers. In addition to informative speaker presentations and roundtable discussion sessions on timely industry topics, the Conference features special networking sessions and events. For more details on the next RFA Conference, click here. One-on-One CEO Sessions - Held at the RFA's Annual Conference, the One-on-One CEO Sessions are a special opportunity FOR MEMBERS ONLY to meet face-to-face with the CEOs and buyers of your choice for ten-minute sessions. The One-on-One CEO Sessions are a truly unique opportunity to talk directly with the decision makers of food manufacturing companies! International Tours - Tour the plants of leading European refrigerated foods manufacturers on the International Tour and gain a global perspective on emerging food trends and technologies. 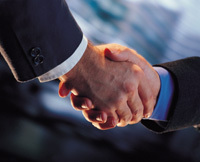 Expand your market overseas through membership in the RFA! Upon joining, members receive immediate access to the online Membership Directory, containing a searchable database of all RFA members. This Directory containing contact names, addresses and product information on our entire membership. The RFA is your resource for relevant, industry-specific programs to strengthen your company’s capabilities. The RFA conducts valuable webcasts, symposiums, and conferences throughout the year on topics relevant to your specific needs and challenges. Gain insights from top speakers and panelists in the industry at the RFA Annual Conference, a three-day event featuring valuable speaker presentations on a wide range of topics relevant to our industry. Stay on top of the key trends impacting our industry by interacting with experts in the fields of consumer insights, natural & organic foods, product innovation, retailer strategies, and cold chain logistics. Develop a more effective commodities procurement program with our quarterly Commodity Newsletters and presentations on effective commodity strategies. Attend cutting-edge Technical Webcasts and Seminars designed specifically for our industry. Interact with experts in the fields of food safety, consumer trends, cold chain logistics and more at our annual Fall Symposium. The Symposium features a program with food safety topics and general industry development topics. Visit the Events page for a complete schedule of upcoming RFA events. 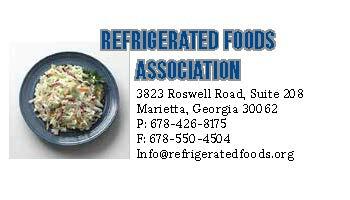 Reach your target market - hundreds of refrigerated food manufacturers - by advertising with the RFA. Advertising opportunities are available for members in the RFA Membership Directory and the RFA Conference program. In addition, sponsorship opportunities are available for a variety of event activities. Technical Support - The RFA keeps members abreast of the latest food safety and regulatory news and provides a network of support for their food safety questions and problems. RFA members have access to the RFA Technical Hotline, where our Technical Director, Martin Mitchell, will provide immediate answers to your food safety and regulatory questions. RFA Members receive continual updates on current food safety and regulatory news via the Technical E-News, a bi-weekly e-newsletter that contains the latest food safety news articles. Plus, the RFA hosts an E-List that allows members to have group discussions on important topics, including specific food safety questions and concerns, via email. Technical Resources - RFA members also have full access to the RFA's vast library of research studies and articles. Resources include completed studies on cabbage browning, microbiological status of products, Listeria and more. In addition, upon request, Associate members will receive the RFA Training DVDs. Click here for a full list of the RFA's Food Safety Resources. The RFA provides members with the most recent information and research studies on a wide variety of food safety and regulatory issues, including shelf life protocol, HACCP, control of Listeria monocytogenes, cross-contamination by pathogens and allergens and nutritional labeling. RFA Members receive continual updates on current food safety and regulatory news via the Technical E-News, an email newsletter sent every other Friday that contains the latest food safety news articles. RFA members also have full access to the RFA's vast library of research studies and articles. Resources include completed studies on cabbage browning, microbiological status of products, Listeria and more. In addition, upon joining the RFA, every member receives the RFA Training DVDs. RFA members have access to the RFA Technical Hotline, where our Technical Director, Martin Mitchell, will provide immediate answers to your food safety and regulatory questions. Plus, the RFA hosts an E-List that allows members to have group discussions on important topics, including specific food safety questions and concerns, via email. Click here for a full list of the RFA's Food Safety Resources. The RFA offers a variety of educational seminars and events throughout the year, including an annual RFA Conference and annual Technical and Marketing Seminars. The RFA's Annual Conference is a three-day event that features the industry’s leading speakers, timely panel presentations, interactive roundtable discussions, and valuable networking opportunities. For more details on the next RFA Conference, click here. Meet and get to know food manufacturers and suppliers from around the country and around the world. Membership allows you to share and learn from others in the industry. International Ties - The RFA sponsors International Tours that allow members to visit refrigerated food plants, supermarkets and foodservice facilities in Europe. Details on this year's International Tour will be available this summer.